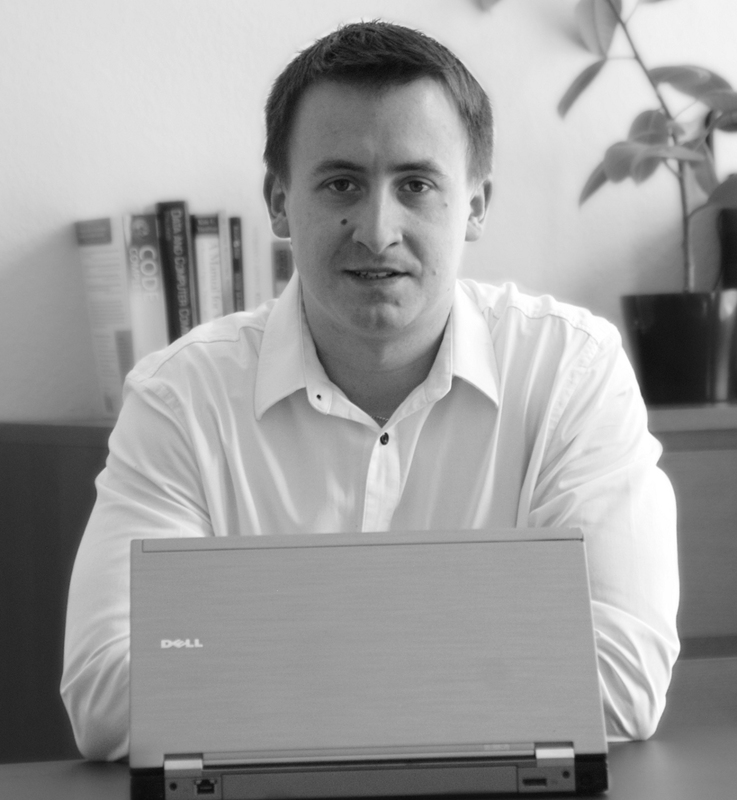 Blazej Lewcio is a PhD student at TU Berlin and a researcher at Deutsche Telekom Laboratories. Since 2008 he has worked on Quality of Service (QoS) and Quality of Experience (QoE) of multimedia applications in future mobile networks. Blazej studied telematics (computer science and telecommunication) at Deutsche Telekom Hochschule für Telekommunikation in Leipzig, Germany (University of Applied Science) with the focus on computer networks and distributed systems. He completed his study with a diploma thesis on "Assessment and adaptation of voice quality in All-IP heterogeneous networks". Lewcio, B., Möller, S. (2011). A Testbed for QoE-based Multimedia Streaming Optimization in Heterogeneous Wireless Networks. Submitted to ICSPCS 2011. Lewcio, B., Belmudez, B., Enghardt, T., Möller, S. (2011). On the Way to High-Quality Video Calls in Future Mobile Networks, in: Proceedings of IEEE QoMEX 2011, Mechelen, 7-9 September 2011. Lewcio, B., Möller, S., Vidales P. (2011). A Method for Seamless Codec Changeover During Active Video Calls, in: Proceedings of IEEE CAMAD 2011, Kyoto, 10-11 June 2011. Mehmood, M.A., Lewcio, B., Vidales P., Feldmann, A., Möller, S. (2010). Understanding Speech Quality Models in Future Mobile Communications. in: Proceedings of the IEEE International Conference on Communications 2010 (ICC 2010), Cape Town, 23-27 May 2010. Belmudez, B., Möller, S., Lewcio, B., Raake, A. and Mehmood, M. A. (2009). Audio and Video Channel Impact on Perceived Audio-Visual Quality in Different Interactive Contexts. in: Proceedings of the IEEE International Workshop on Multimedia Signal Processing, Rio de Janeiro, 5-7 October 2009. Möller, S., Kirschnick, N., Lewcio, B., Vidales, P., Wältermann, M. (2009). Sprachqualität in drahtlosen Next Generation Networks: Einflüsse von Netzwechseln im Konversationsversuch. Elektronische Sprachsignalverarbeitung. Tagungsband der 20. Konferenz, 21.-24. Sept., R. Hoffmann (ed. ), TUDpress, DE-Dresden, 302-309. Vidales, P., Wältermann, M., Lewcio, B., Möller, S. (2009). User Experience in 4G Networks. In: Fourth-Generation (4G) Wireless Networks: Applications and Innovations (S. Adibi and A. Mobasher, eds. ), IGI Global, US-Hershey PA.
Möller, S., Wältermann, M., Lewcio, B., Kirschnick, N., Vidales, P. (2008). Speech Quality while Roaming in Next Generation Networks, in: Proceedings of the ICC 2009, DE-Dresden, 14-18 June 2009. Möller, S., Wältermann, M., Lewcio, B., Kirschnick, N., Vidales, P. (2008). Handovers between Narrowband and Wideband Speech Transmission, in: Sprachkommunikation 2008. Beiträge der 8. ITG-Fachtagung vom 8. bis 10. Oktober 2008 in Aachen, ITG-Fachbericht 211, VDE-Verlag, DE-Berlin. Lewcio, B., Möller, S. ,Vidales,P. Wältermann, M.,Kirschnick, N. (2008). Methods for multimedia service adaptation in Next Generation Networks, in Proceedings of the ETSI STQ 2008 Workshop on Effects of Transmission Performance on Multimedia QoS,CZ-Prague, 17-19 June. Wältermann, M., Lewcio, B., Vidales, P., Möller, S. (2008). A Technique for Seamless VoIP-Codec Switching in Next Generation Networks, in Proceedings of the IEEE International Conference on Communications 2008 (ICC 2008), CN-Beijing, 19-23 May. Vidales, P., Kirschnick, N., Lewcio, B., Steuer, F., Wältermann, M., Möller, S. (2008). Mobisense Testbed: Merging User Perception and Network Performance, in: Proc. 4th Int. Conf. on Testbeds and Research Infrastructures for the Development of Networks & Communities (TRIDENTCOM 2008), AT-Innsbruck, March 18-20. (Pending) "Apparatus, method and system for improved quality of voice calls over a packed based network" . P. Vidales, B. Lewcio, M. Wältermann, and S. Möller. Date of filing: May 18, 2008. ITU-T Contribution COM 12-42 (2009). User Perception of VoIP Quality in Dynamic Wireless Heterogeneous NGNs, Federal Republic of Germany (Authors: B. Lewcio, S. Möller, M. Wältermann, P. Vidales), ITU-T SG12 Meeting, 10-19 Mar. 2009, CH-Geneva. ITU-T Contribution COM 12-80 (2009). Speech Quality Prediction in Wireless Heterogeneous Networks with Aspects of Wideband-Narrowband Speech Codec Switching, Federal Republic of Germany (Authors: B. Lewcio, S. Möller, M. Wältermann, P. Vidales), ITU-T SG12 Meeting, 3-12 Nov. 2009, CH-Geneva.